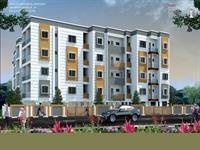 Looking for a property in JP Nagar Phase 7? Have a property in JP Nagar Phase 7? JP Nagar Phase 7 is the most well developed and organized planned locality in JP Nagar, the cost index mentioned in paper in the property section indicates the higher valued locality being developed in south Bangalore. Lots of shopping 90 feet wide starting from Jaya Nagar roads easy access of Outer ring road, NICE road and Electronic city, Bannerghatta Road . Good high end apartment complexes like Brigade Millinium, Elita South-city, Brigade Gardenia, only SJR Luxuria has direct access to Bannerghatta Road and JP Nagar directly from the Layout . Even then this layout is nestled in between both roads but does not get directly affected by the noise, dust emitting from the traffic. JP Nagar, 7th Phase very close to main road, before Brigade Millennium L, JP Nagar is fully Residential in the midst of Bangalore Residential corridor. JP Nagar Phase 7 best place in South Bangalore with reputed Schools, Colleges and Hospitals and Cosmopolitan environment. Posted: Oct 5, 2013 by Balasubramanya D.
JP Nagar Phase 7, Bangalore is rated 7 out of 10 based on 3 user reviews. Have a good knowledge of JP Nagar Phase 7? Share it and become a Locality expert. 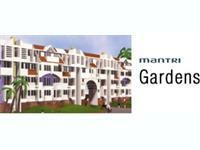 Vaastu-oriented 2 & 3 BHK spacious apartments in JP Nagar. 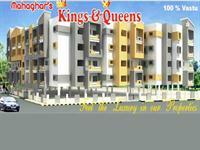 Mahaghar Kings & Queens offers spacious 2 & 3 BHK apartments near JP Nagar, Konenkunte. The project the Vaastu norms perfectly and so each flat is designed with perfection. Shivaganga Opal provides 2BHK, 3BHK luxurious Apartments/Flats with modern features and located at JP Nagar, Bangalore. ready-to-move-in 2 BHK apartments in JP Nagar Phase 7. Himagiri Green Forest is a completed project of Himagiri Group. 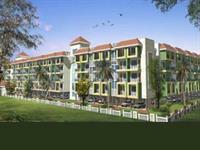 The project provides ready-to-move-in 2 BHK apartments in JP Nagar Phase 7. 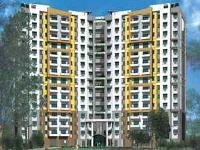 Uma Sanjivini Residency, Very good residential area on JP Nagar Ph-7. Uma Sanjivini Residency”, prime Residential Hub of Banglore.